Zion - "Beacon on the Hill"
Reverend E. O. Solseth came to serve as Pastor at Immanuel Lutheran Church in 1872, traveling as far as Clinton, Minnesota and serving many of the surrounding communities. On March 19, 1875, it was decided to divide the area into congregations with the Chippewa River being the boundary. This resulted in the organization of Zion Lutheran Church. The Zion Lutheran Church was built by early Norwegian pioneers. In January 1876, it was decided that the church building should be 50 feet long and 32 feet wide, with 18 foot high walls. It was a huge undertaking for 44 men with horses, oxen, and wagons who hauled the lumber from Benson, Minnesota—68 wagon loads, costing $1,200.00. Construction began in January 1876, under the leadership of Pastor E. O. Solseth, a Norwegian immigrant. Due to grasshopper plagues, droughts and other calamities of pioneer life, the church was not completely finished until 1889. The church bell, 1200 pounds of brass, was purchased in 1888 for $273.20. Zion was a major focus of rural community life. Over the years, however, as the rural farming community declined, the local congregation also dwindled. In 1981, the church was closed as a Lutheran congregation, and the property was transferred to the local cemetery association board. Thereafter, the building fell into disrepair. During 1996, the Zion Restoration Society was formed as a community effort to restore the building. The church epitomizes the classic Norwegian Lutheran country church that once was very common within the state but that few examples of such architecture remain. This church is especially unique for the many hand carved items which were incorporated into the building, in particular the turrets on the tower around the base of the spire, the pulpit and the canopy over the pulpit, and post for raising the pulpit. The original Norwegian inscription under the altar painting is also still visible. The altar painting itself is believed to have been done by Herbjorn Gausta, the first professional altar painter among the Norwegian Americans. Zion church is a landmark, a part of the cultural landscape, a monument that gives character to the area, something that people can return to and feel they are in the presence of their roots. Zion’s roots were planted in 1869 when the first Lutheran pastor, Rev. Nils Brandt, visited this area. This visit was followed by another from Rev. John Moses, also in 1869. The first pastor to serve an area Lutheran congregation under call was The Rev. L.J. Markus. While serving full time in Norway Lake, Pastor Markus also took on the responsibility of serving the newly organized Immanuel Church on a schedule of quarterly visits. He served in this capacity for some two years, providing pastoral services for the membership of Immanuel, which also included persons who would become members of the yet-to-be organized Zion Church. In 1871 the Immanuel Congregation called O. E. Solseth to become the first full time pastor. Pastor Solseth accepted this call, and began his duties here on Pentecost Sunday of 1872 serving the area until his death in June of 1908. 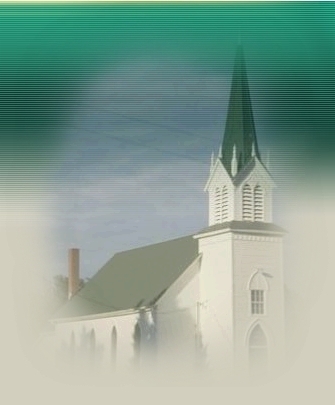 It was during this time that the Zion church was conceived, built and dedicated. Many adjacent congregations were formed, primarily under the guidance and leadership of Pastor Solseth. Rev. E. I. Strom was installed in February of 1909 and served until his retirement on October 5, 1941. Following the retirement of Rev. Strom, Watson Lutheran Church joined with Immanuel and Zion to form a three congregation ministry. The Rev O.J. Skrukrud was installed as pastor on November 2, 1941 and served faithfully until his death in 1951. Rev. Walter E. N. Wahl was installed on July 20, 1952 and served until Easter Sunday, April 1, 1956. The Rev. Robert Boxrud became Pastor in November of 1956 until his resignation in August of 1961. Rev. E. O. Barsness was installed on October 22, 1961 until his resignation in 1967. Rev. Earl Hauge was installed in September of 1967 and served until his resignation in 1973. Rev. Larry Gedde was installed in November of 1973 and served Zion until Zion was closed as a congregation in 1981.